Attorneys in Van Ness Feldman’s environmental practice represent and advise clients on a wide range of federal and state regulatory, compliance, enforcement, permitting, siting, and legislative matters. As a foundation for our current NEPA practice, several of the firm’s professionals previously served as legal counsel or policy advisors to the congressional committees or government agencies that developed and currently implement NEPA requirements—most notably, our firm’s founder, Bill Van Ness, who was a principal draftsman of NEPA during his service as Chief Counsel to the Senate Committee on Interior and Insular Affairs. The firm has significant experience in related administrative litigation before the U.S. Environmental Protection Agency’s (EPA) Environmental Appeals Board and similar state administrative tribunals, compliance and enforcement counseling, and negotiation of settlement agreements. 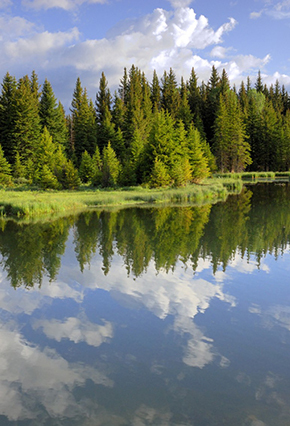 In addition, Van Ness Feldman regularly advises both clients and consultant teams regarding both the development and defense of environmental impact analyses requiring input and approvals from, among others, the U.S. Forest Service, U.S. Army Corps of Engineers, U.S. Fish and Wildlife Service, National Park Service, FERC, DOE, and Bureau of Land Management. In addition, the firm provides counsel on the many federal statutes encountered during project development, including the Clean Air Act (CAA), Clean Water Act (CWA), National Environmental Policy Act (NEPA), Endangered Species Act (ESA), National Historic Preservation Act, Resource Conservation and Recovery Act (RCRA), National Forest Management Act, and Coastal Zone Management Act, as well state equivalents including Washington’s State Environmental Policy Act (SEPA), and the California Environmental Quality Act (CEQA).